According to their web site, over 250 million people worldwide have seen at least one of their artistic cows on display. I know here in south central Pennsylvania, we've come across them several times and have been trying to photograph them and document their location here on the blog. The one that we're showing off today is called the Mootivational Cow. We found this one located in front of the Anchor Commercial Realty building at 426 N. Front Street in Wormleysburg, Pennsylvania. The talented artist was Joanne P. Cassaro. I think the artist did a great job with this one...just beautiful. 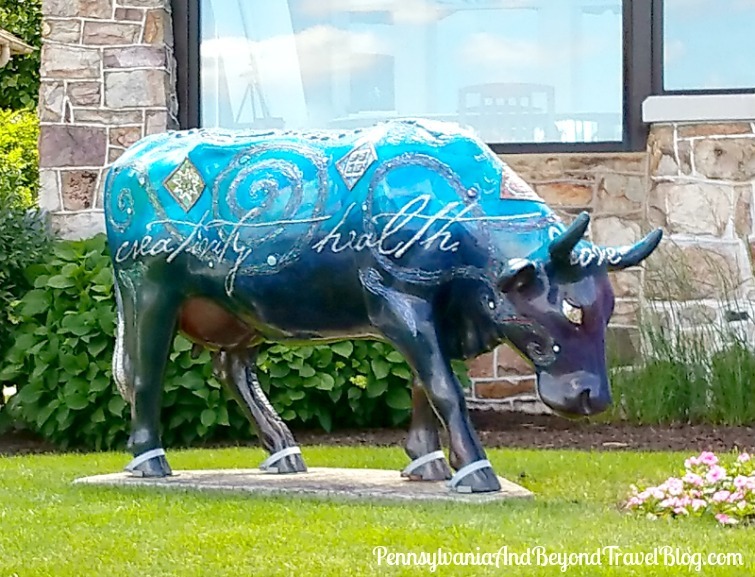 If you would like to learn more about the Cow Parade you can visit our original post which will give you some history and show you some of the street art that we've found around the central Pennsylvania area. 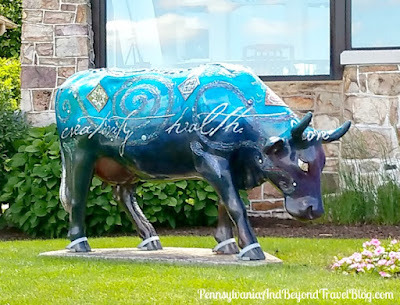 It's a lot of fun (like a treasure hunt) hunting down these colorful bovines around the area.